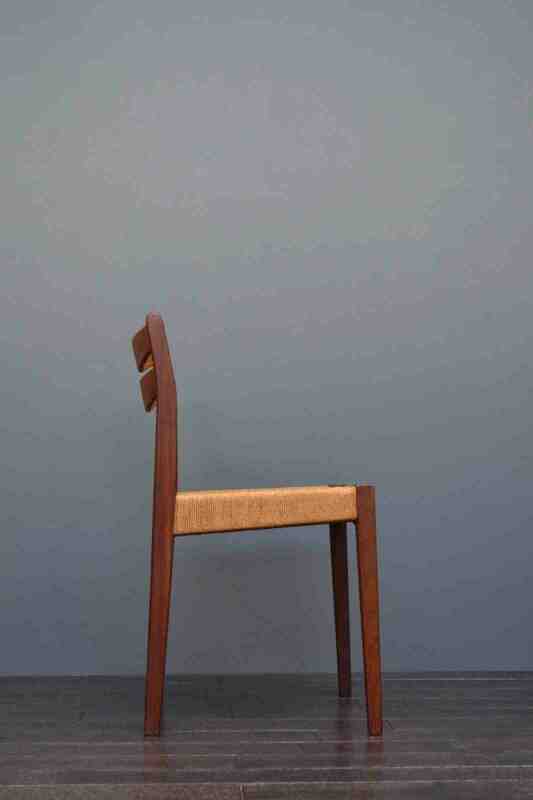 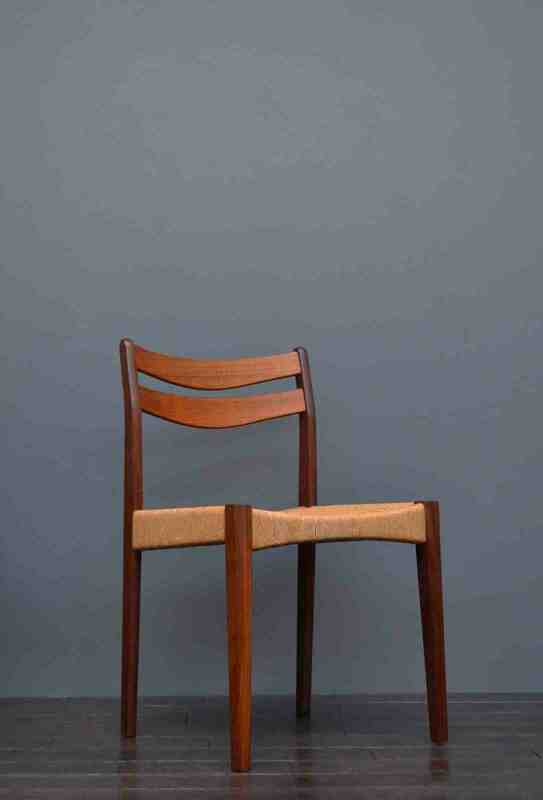 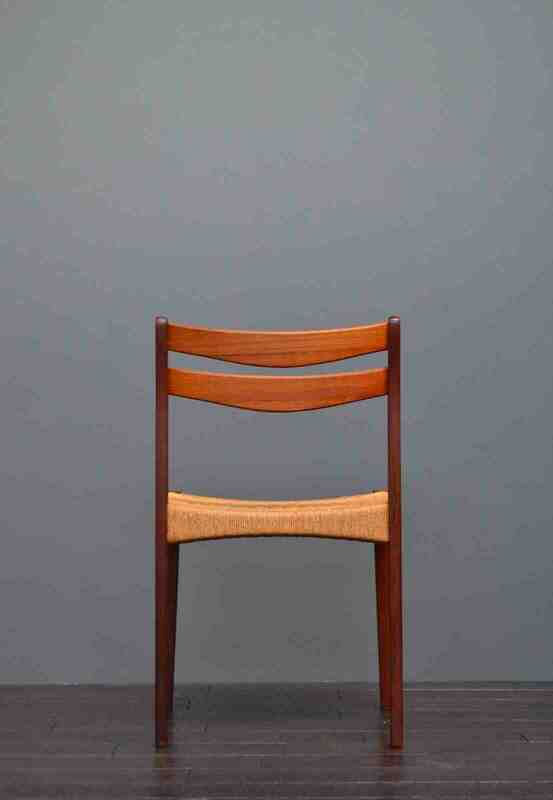 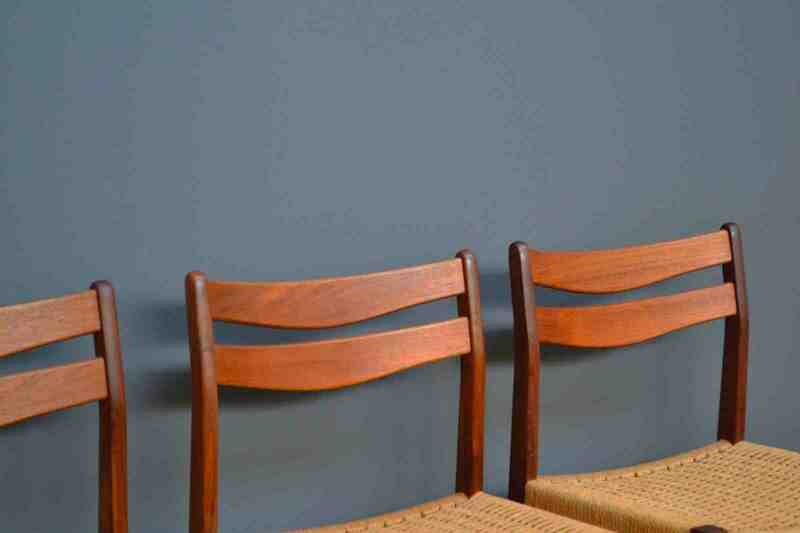 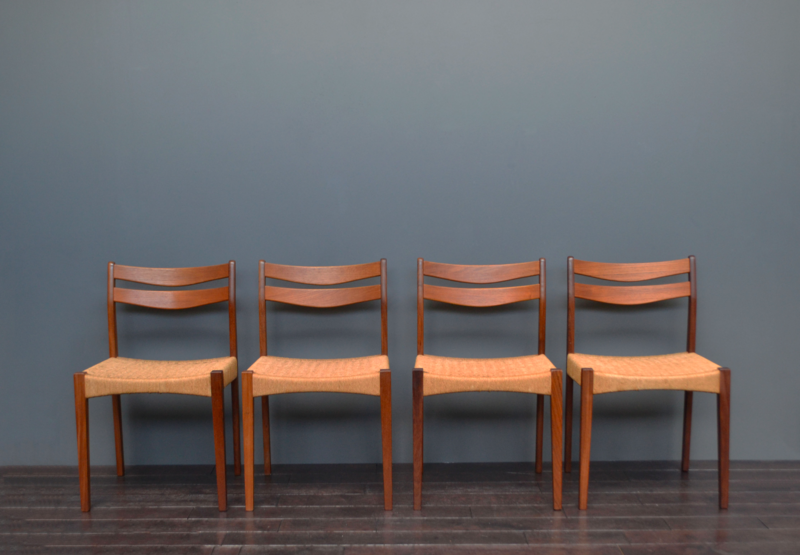 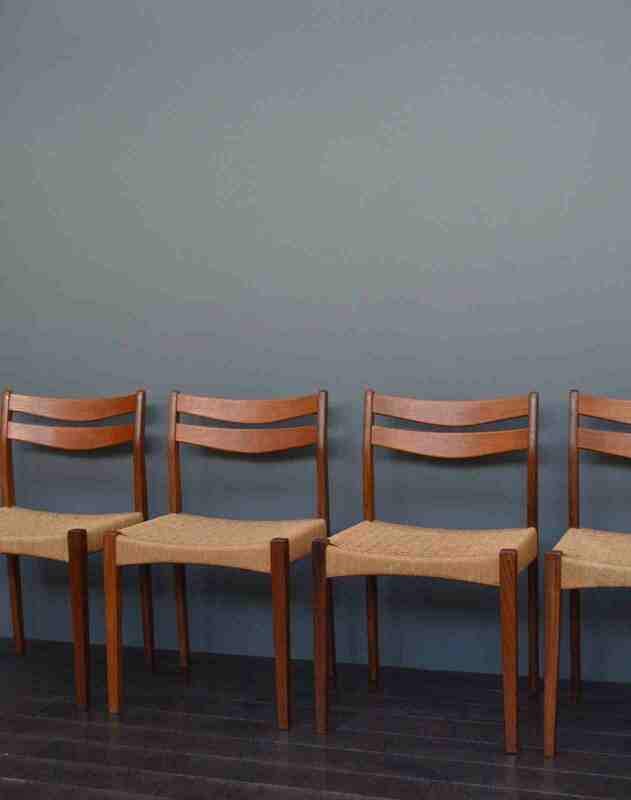 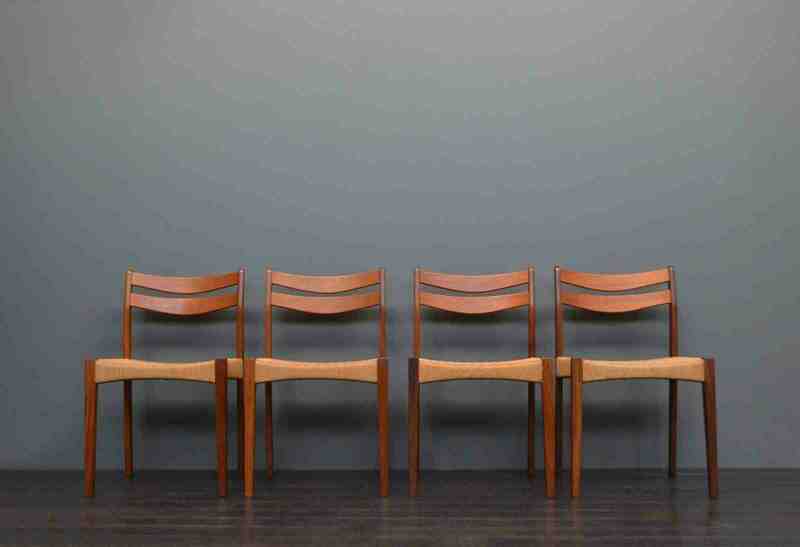 Stunning set of four Danish dining chairs designed by Arne Hovmand Olsen for Mogens Kold. 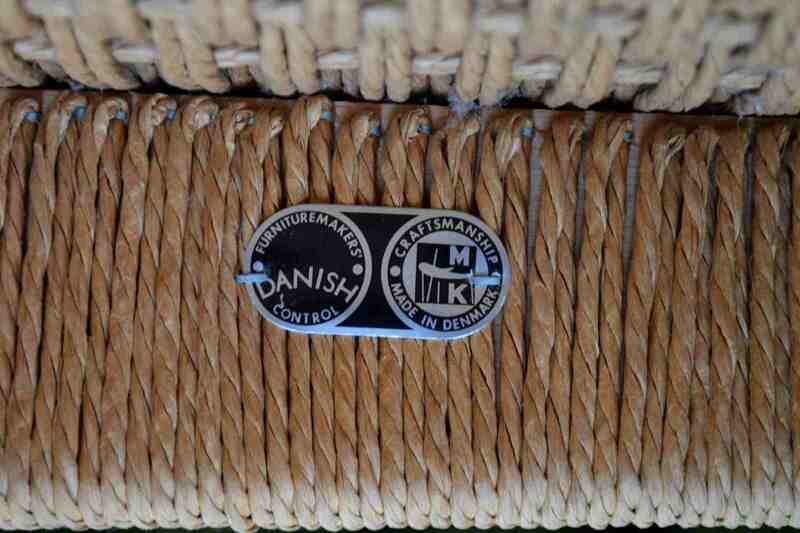 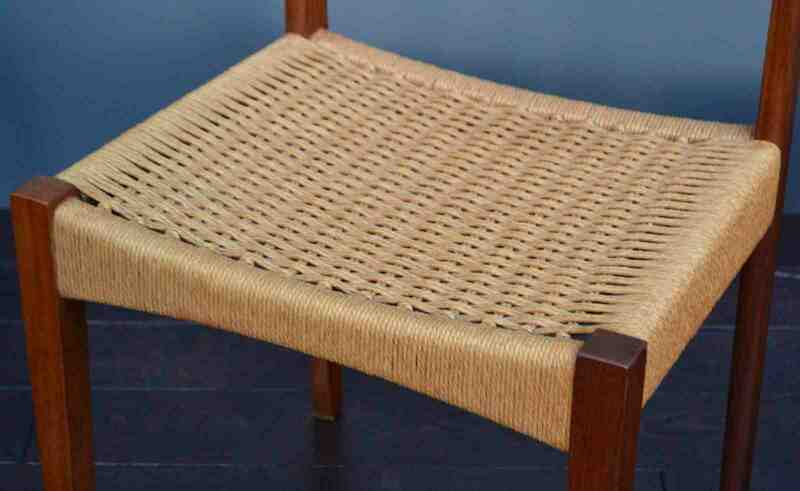 Stylish sculpted teak frames with woven cord seats. 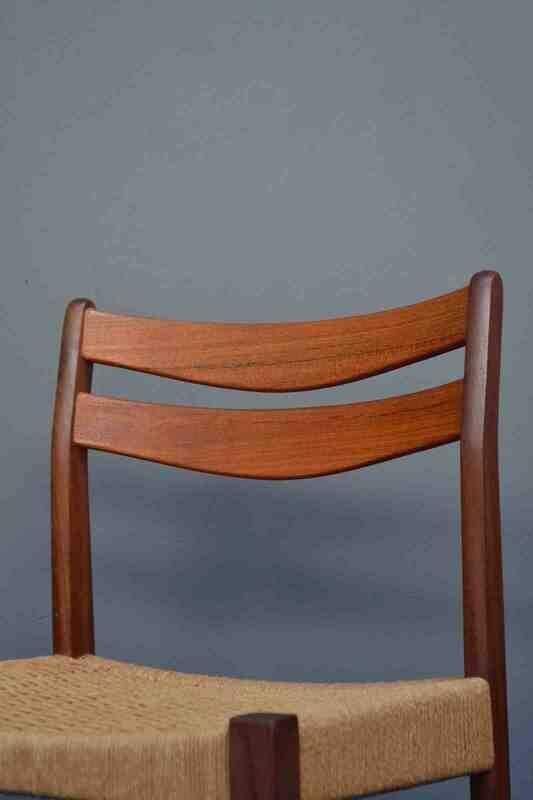 In lovely vintage condition.